Banker Lopez Gassler receives Tier 1 national "Best Law Firm" ranking in eight practice areas by U.S. News - Best Lawyers in 2016 in Fort Myers, St. Petersburg and Tampa. 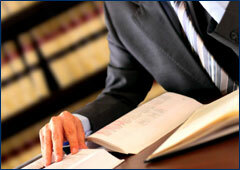 BLG also received Tier 2 and Tier 3 rankings in seven practice areas in St. Petersburg, Tallahassee and Tampa. U.S. News & World Report and Best Lawyers, for the sixth consecutive year, announce the “Best Law Firms” rankings. Firms included in the 2016 “Best Law Firms” list are recognized for professional excellence with persistently impressive ratings from clients and peers. Achieving a tiered ranking signals a unique combination of quality law practice and breadth of legal expertise. The 2016 rankings are based on the highest number of participating firms and highest number of client ballots on record. To be eligible for a ranking, a firm must have a lawyer listed in The Best Lawyers in America, which recognizes the top 4 percent of practicing attorneys in the US. Over 21,000 attorneys provided almost 700,000 law firm assessments, and over 8,000 clients provided more than 47,000 evaluations. 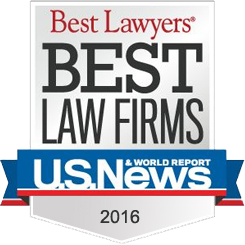 The 2016 Best Law Firms listing can be found at: http://bestlawfirms.usnews.com/.